It was Britain’s week for individual gold medals! Emulating Nick Skelton’s fabulous Olympic gold, Jack Whitaker came to the fore in the Pony European Championships in Denmark to take individual gold on his father Michael Whitaker’s Elando Van De Roshoeve. And as at the Olympics, the pressure was enormous. Overnight scores before the two rounds of the individual, Jack lay in equal fourth on Elando Van De Roshoeve with seven others on four faults – picked up in round one of the team competition. Two riders were on zero and one on one time fault, but they had to maintain that high standard to remain in contention for the medals. Clear in the first individual qualifier and double clear for The Netherlands team, Rowen Van De Mheen picked up one time fault in round one of the individual on Quaprice D’Astree. It proved costly, but at this stage they were still ahead of Jack. 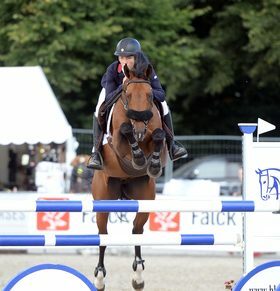 Jack provided a foot-perfect clear in round one, and when Germany’s Antonia Ercken – carrying one time fault from the first day – returned on five faults with Crazy Hardbreaker, Jack eased up the leader-board. Another clear was crucial. The tension sizzled in this high-octane round, but Jack dismissed any pressure on his 14-year-old shoulders to produce another copybook round on the 12-year-old Elando Van De Roshoeve. Jack’s father Michael – no stranger to this situation himself, was immensely proud and very emotional. 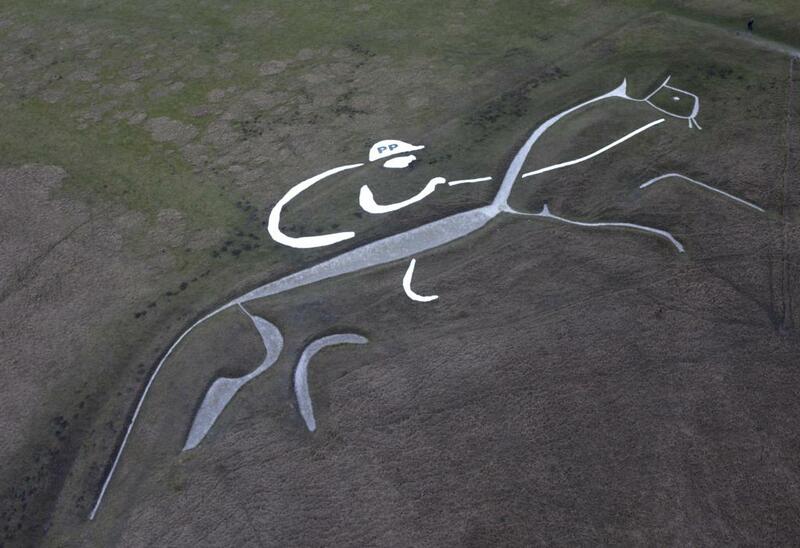 “He was unbelievable – he rode immaculately and he couldn’t have ridden any better. It was a tough course and he was brilliant over it. I am so proud of him, I honestly can’t describe how I am feeling,” he said. Jack’s final double clear proved good enough. 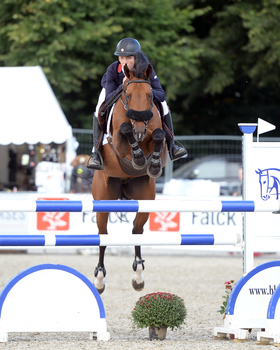 The Netherlands Rowen and Quaprice came home on four faults in round two to post a five fault total – just one fault behind Jack – for the silver medal, and Antonia aboard Crazy Hardbreaker added another one time fault to her six faults to take bronze for Germany on seven faults. The wait for the final riders to go had proved agonising for Jack. “I couldn’t watch the last one go. I stood with Dad so I didn’t know we had won until Dad burst out crying and then I just remember jumping as high as I could and everyone coming running at me. It’s been unbelievable. I’m just so happy and I can’t thank my mum and dad enough, my sponsors and everyone who supports us at home and at British Showjumping enough. Thank you”. Robert Murphy (15 years) was next best Brit in 14th on Hans Christian Jacobsen’s Rainbows Mocha with a total of 17 faults, and Allana Clutterbuck (14 years) on Sue Evans’ Sultan Du Bary finished 24th on 28 faults.